Your gift to the Edna Mae and Don Adams Designated Fund with the Buchanan County Community Foundation will provide support for the Quasqueton Union Church, the Quasqueton Cemetery Association, and the Quasqueton Area Historical Society, all of which are located in Buchanan County. Your gift to the Edna Mae and Don Adams Scholarship Fund with the Buchanan County Community Foundation allows the Community Foundation to award financial assistance to students from East Buchanan Community Schools and Independence Community Schools pursuing higher education. As the cost of tuition continues to rise, it is more important now than ever to diminish the barrier of affordability and allow students to focus on what is most important - their education. Your gift to the Jay and Kathy Agness Education Fund with the Community Foundation of Northeast Iowa will be used for charitable projects and programs in the field of education in Black Hawk County which could include scholarships. Your gift to the AGWSR Communtiy School District Expendable Fund with the Ackley Community Fund will benefit the AGWSR Community School District.  Your gift to the Aids Prevention Fund with the Community Foundation of Northeast Iowa will support charitable projects to prevent AIDS. Your gift to the Alcock Cemetery Association Endowment Fund with the Bremer County Community Foundation supports the charitable activites of the Alcock Cemetery Association including for the preservation, beautification and maintenance of abandoned or deteriorating graves of deceased persons and cemeteries generally, focusing on areas open to the public or to the public's view. Your gift to the David and Marian Alfrey Scholarship Fund with the Community Foundation of Northeast Iowa allows the Community Foundation to award financial assistance to students pursuing higher education. As the cost of tuition continues to rise, it is more important now than ever to diminish the barrier of affordability and allow students to focus on what is most important - their education. Your gift to the Algona Community School Endowment Fund with the Kossuth County Community Foundation will help support the charitable activities of Algona Community School. Your gift to the Algona Family YMCA Foundation Endowment Fund with the Kossuth County Community Foundation will help benefit the needs of the organization and the individuals and families they serve.